The QSX-295T Full Precious Metal Analyzer from Quickshot XRF was developed for ease of use, offering straight forward software and report functions for gold buyers that have limited time to obtain accurate results. While the software package is one of the more streamlined, most users that are new to x-ray fluorescence will have questions and concerns at the beginning. Typically, most organizations will utilize the operation manual and video training guide to begin using the QSX-295T for accurate gold content information within a few hours of receiving the system. However, we realize the technology may take some time to pick-up on and the Quickshot XRF technical support staff is ready to provide the training and support required. We offer phone/email consultation for the lifetime of the system as well as options for on-site training and remote (web-cam) training. Below is a note that we received from a gold buyer that was new to XRF Technology and required some phone consultation before truly understanding the capabilities of the QSX-295T. They now see the Quickshot XRF performance and noted their appreciation for the technical staff’s assistance in learning the instrument. 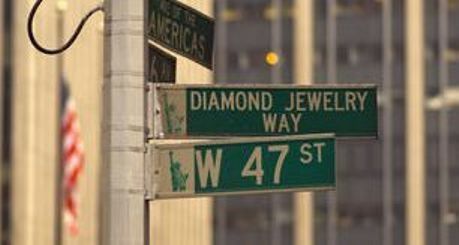 Quickshot XRF representatives will be providing demonstrations of the QSX-295T Precious Metal Analyzer in New York City…on 47th Street; the diamond district. Our Application Specialists have recently finished working with some major refiners and NYC gold buyers to insure the performance of the QSX-295T to meet the demands of the New York City market. Now, we are bringing it to you and will be available the week of April 25th to provide free, one-on-one, demonstrations.